Dubai: Mid-tier office properties in Dubai are feeling the squeeze as local businesses, especially the smaller ones among them, prefer to stay put rather than shift to new premises. So far, landlords holding new leasing stock have not made sharp cut to their rental demands, which means that these offices are remaining vacant for a longer period of time. The only action in Dubai’s office market is happening at either end of the space spectrum. There is still fairly “constant” demand for the larger properties, with the average transaction size now between 4,000-5,000 square foot, according to the latest update from Core Savills. But even that is “notably smaller than in previous years”, the report adds. “The number of enquiries from Chinese companies was notably strong, particularly in free zone areas such as JLT,” it states. At the other end of the spectrum, landlords in Dubai holding space in business centres and “micro-offices” are better placed. 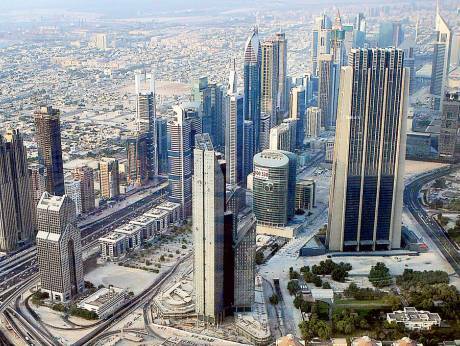 New entrants into Dubai seem to “prefer plug-and-play facilities eliminating occupation timelines,” the report states. The imbalance brought on by the weak demand for the mid-tier could have consequences, even as early as from next year. Dubai’s office market supply was boosted by nearly 2.3 million square feet delivered since the start of the year, including the more than 740,000 square feet “currently being handed over in One Central”. Prime/Grade A offices make up 71 per cent of the new office stock entering between 2017-19. And most of these are single-owner buildings, or owned and managed by government-owned entities. And wherever new office supply is coming in, it will place immediate pressure on the entire area, and even more on office buildings with multiple (strata) owners. Business Bay offices could feel the heat. “The recent slew of handovers in this district may add further pressure to high vacancy levels, and will make leasing units in many of the buildings that are ‘strata’ owned more challenging,” Core Savills notes. There are other factors that will worry landlords who cannot offer that something extra. In the near-term, “a significant amount of space become available for lease due to consolidation activity and relocations within Dubai,” Core Savills reports. “In particular, over 28,000 square feet is expected to become available in Emaar Square following the merger of NBAD and FGB. In fact, there is going to be no let up in fresh office space hitting the market – next year should see delivery of more than 2.2 million square feet, including “One Central Offices 4 and 5, the Amesco Tower in JLT, Phase 1 of Innovation Hub and the almost entirely pre-leased Gate Village 11 in DIFC”. Come 2019, the massive ICD Brookfield Place and phase 2 of D3 (Dubai Design District) will open for business. All of which will make negotiations between landlords and their existing tenants quite tricky in the coming months. Some of the owners are already making adjustments. “Developers are listening to the market and significantly slowed the pace of new grade B and C office space,” said David Godchaux, CEO at Core Savills. “Dubai’s office market is adjusting to the dominant need for single-owned prime stock – a segment where demand has consistently outstripped supply.